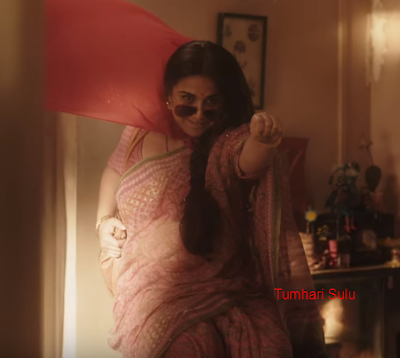 Tumhari Sulu teaser has released now. This is an upcoming comedy-drama film, directed by the noted ad film-maker Suresh Triveni and produced under the banners of T-Series and Ellipsis Entertainment. Vidya Balan plays the role of a night radio jockey in Mumbai. She is playing the title role of Sulochana (a.k.a. Sulu. )Tumhari Sulu will releases on the date December 1, 2017.